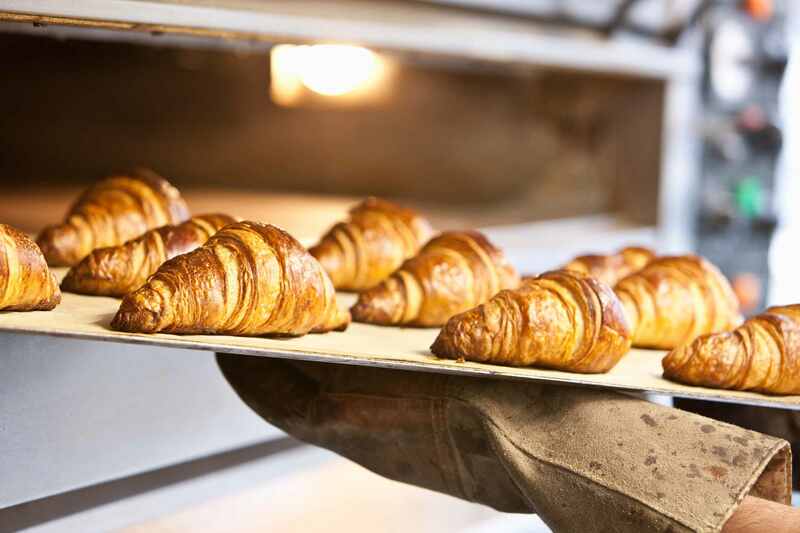 Light, golden, flaking pastries are synonymous with French pastries. Who, when in France, has not looked longingly into the pâtisserie shop window and wondered just how it would be to make these at home. Well, you can. These seven of the best savory recipes will prove how achievable this is. If you like the scent of dough rising and baking into flaky, golden layers, then it does not need to be limited to sweet confections. These savory pastry recipes range from tender cheese gougères to flaky tart shells to the tastiest breakfast croissants. And all are possible to make at home. Some of the pastries do need a little planning ahead of time, but that is as hard as it becomes. Warm and buttery, this cheese croissant recipe is a savory version of the famous French pastry. A perfect complement to sweet brunch foods, these croissants can be served with soup and salad for a cafe-style meal later, if you have any leftovers. This spinach-and-bacon tart recipe makes an effortless and elegant presentation for breakfast, lunch, and dinner -- and everything in between. Fresh spinach, crumbled bacon, and three varieties of cheese make this quiche pleasing to all palates. Serve it alongside strawberry sorbet and Belgian waffles for a lovely brunch. This quiche Lorraine recipe yields a rich egg pie and hails from the mountainous region of Lorraine in northern France. Sufficient for a filling meal in itself, quiche Lorraine has been adapted over the years from a humble custard-and-bacon pie to the substantial cheese, bacon, and egg creation that it is known for today. This classic Roquefort-and-caramelized-onion tart recipe is layered with complex flavors: salty, piquant cheese, mellow, sweet onions, and rich eggs and cream. Baked into a flaky pastry shell, the combination is nothing less than irresistible. If you can't find true Roquefort in your market, ask your grocer for a good-quality blue cheese. Gougères are little cheese puffs, usually served as an appetizer with wine or cocktails. They're incredibly easy to make. Simply whip up an egg and cheese batter, pipe it onto a baking sheet, and bake the gougères until they are puffed and golden. The little pastries fill the kitchen with a fantastic aroma and are perfect for a cozy night spent indoors.